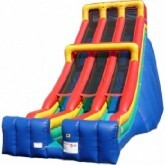 From the smallest 20' Ft Dry Slide Rental to the tallest 35" footer, we've got what you need! We've got great rides, excellent service and the best prices in the Miami area! 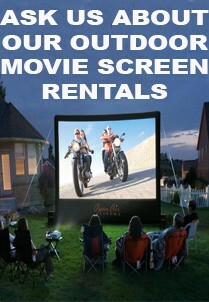 Dry Slide Rentals There are 11 products. 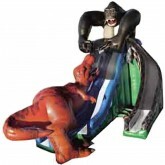 The most stunning and beautiful Inflatable Slide Rental in Miami is sure to be the Sabertooth Infltable Slide! Its super tall and lots of fun! 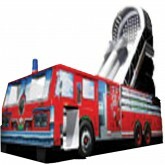 Whether you just want to climb to the top to get a birds eye view of the event or your looking to slide down this beast your sure to experience something exciting! 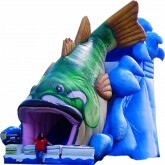 Looking at this beast of an inflatable i would say the fisherman became the bait here as this gigantic Sea Bass Inflatable Slide threatens to swallow you whole! 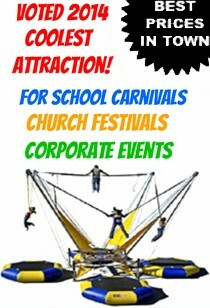 Take a look at the 35'Ft Kongo Krazy Inflatable Slide... A certifiable "Traffic Stopper" at any event! 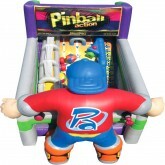 The 28Ft Tall Pinball Action Inflatable Slide is both fun and a wonder to look at! 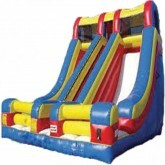 For all you old school pinball enthusiasts you will enjoy this inflatable slide rental just as much as your kids will! 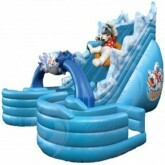 Our newest inflatable slide is called the Polar Plunge and can be used either wet on hot summer days or as a dry slide for cooler or windy days! One of the most thrilling slides ever made is called the Dual Lane Screamer Slide! Its sharp narrow drop will have you screaming of excitement! The narrow drop is guaranteed to make you SCREAM! 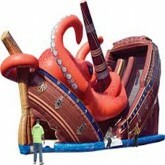 Our 22'Ft Single Lane Screamer Slide is one of Miami's most requested inflatables. 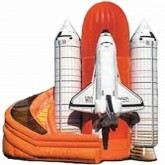 Even a real astronaut would appreciate this digitally enhanced Space Shuttle Turbo Slide! Simply an amazing and gigantic inflatable slide! Release the Kraken! 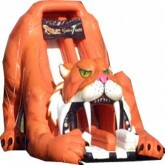 You'll never want to go on another simple inflatable slide after experiencing the drop of this beast! Simply the best dual lane slide rental in Miami! 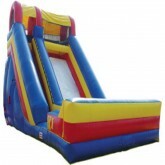 This 24'Ft Goliath Giant Inflatable Slide features a dual lane slide with a narrow drop!